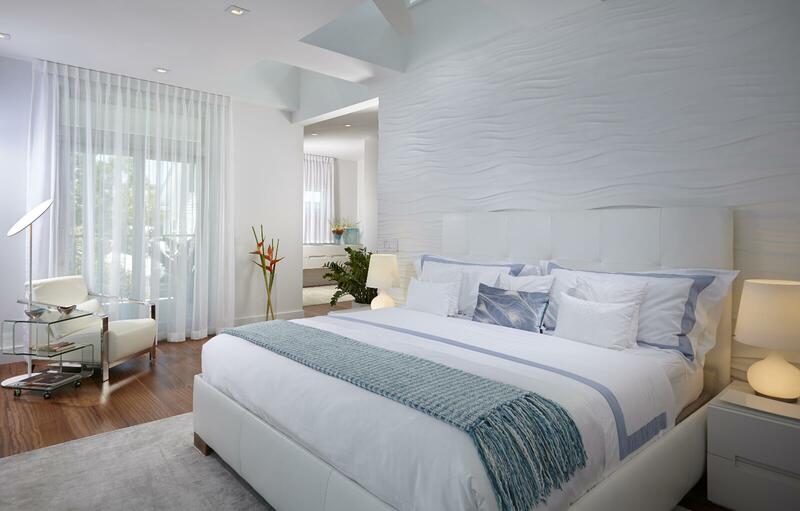 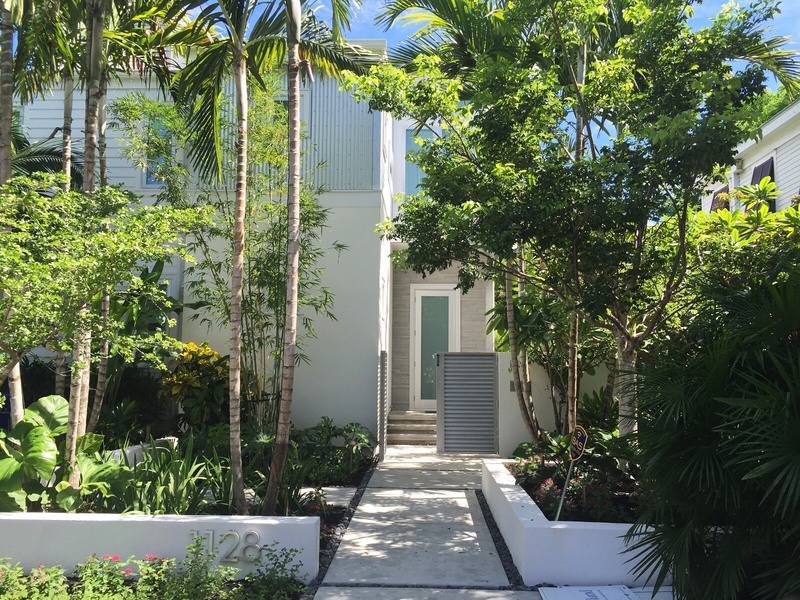 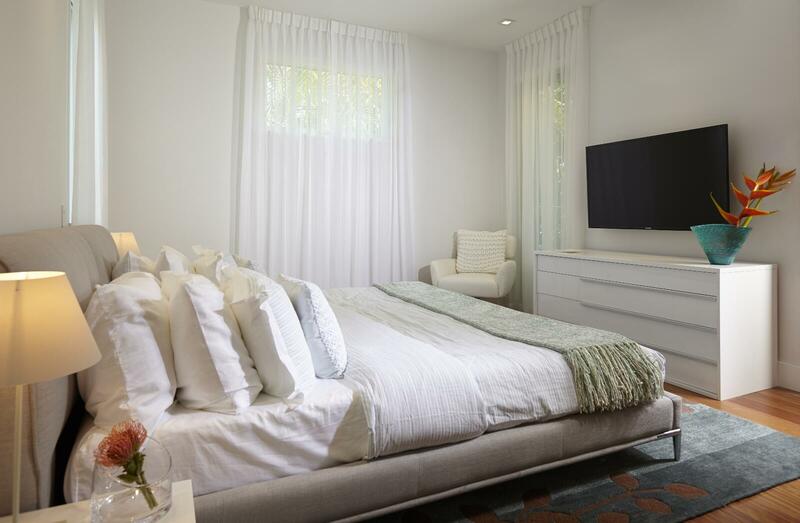 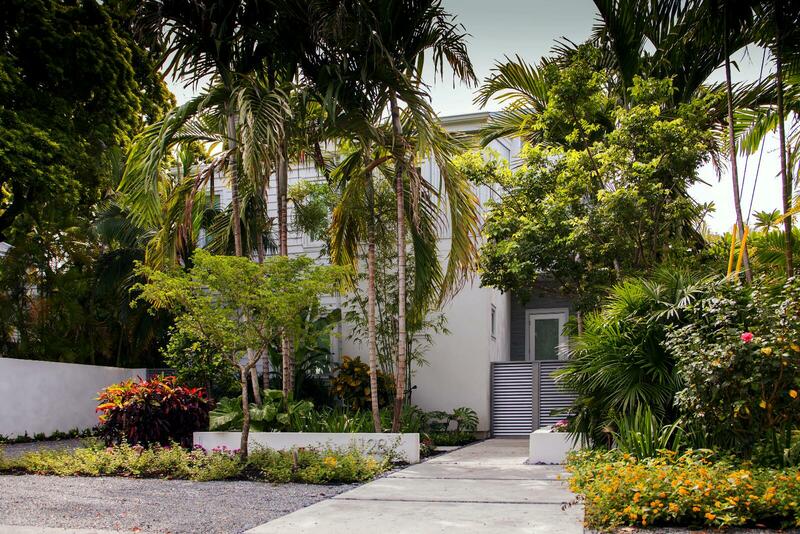 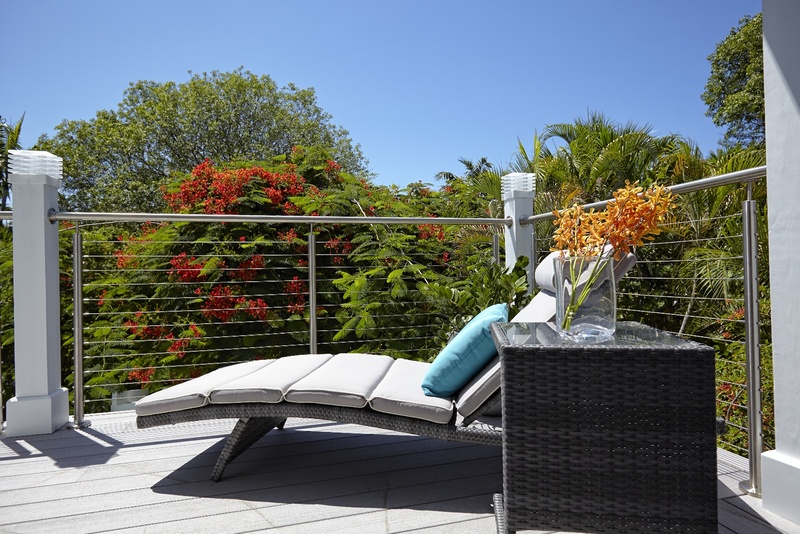 This 2,880 square-foot home is in the heart of Key West, Fl. 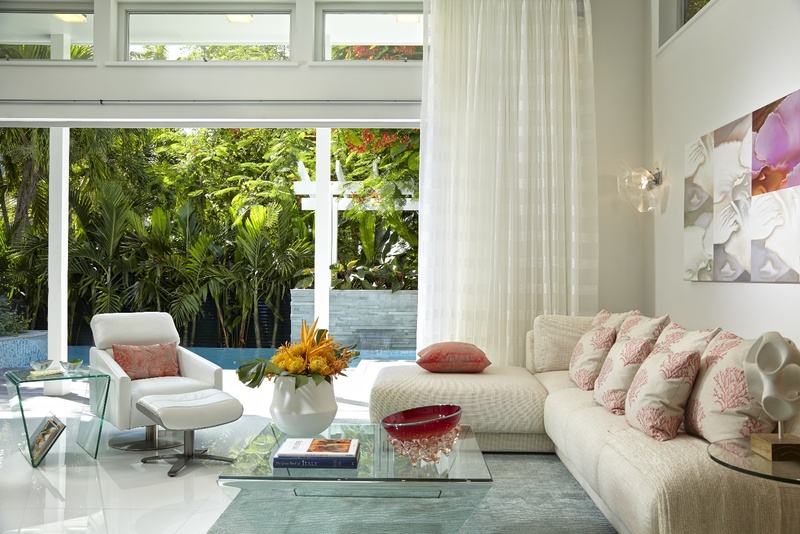 The design entailed utilizing modern elements to the space. 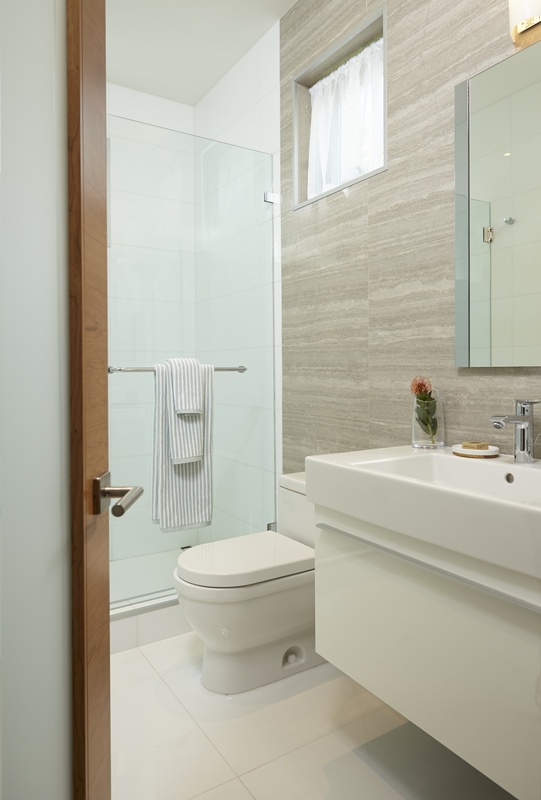 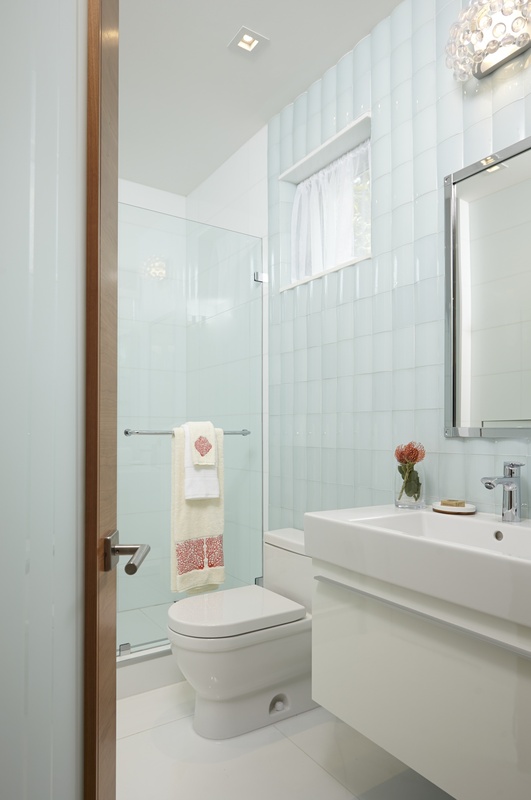 We chose a large 40” x 40” glass tile for the first floor and bathroom floors, and dressed the stairs and bedrooms with African Teak wood floors to add warmth to the space. 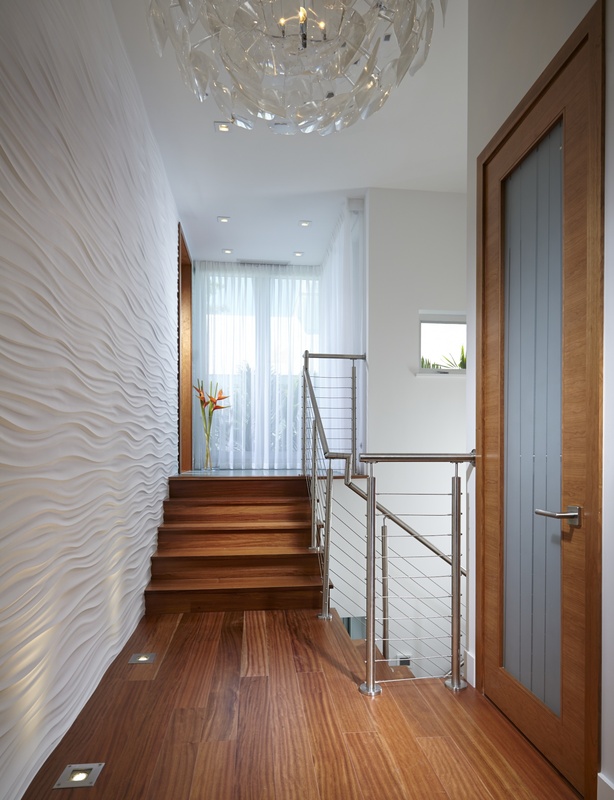 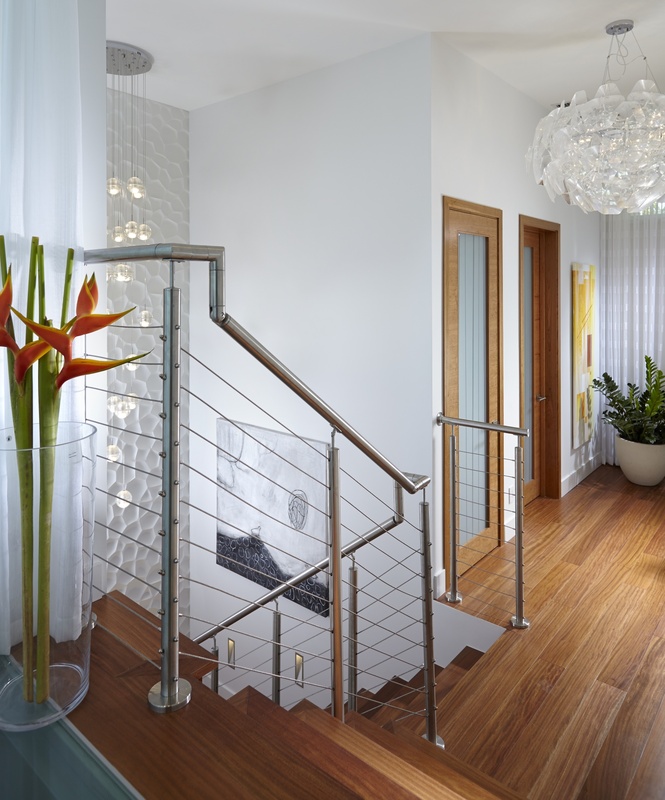 The stairs were complimented with stainless steel cables, attaining a soft and hard feel. 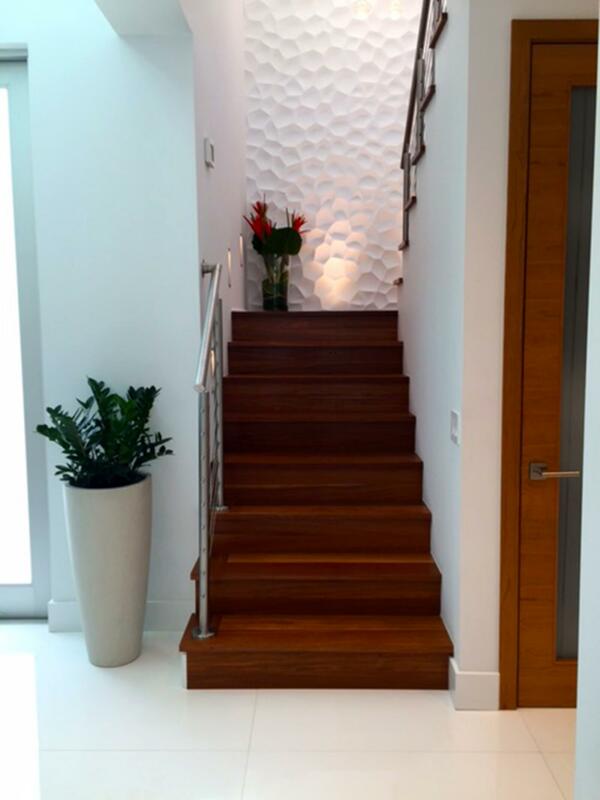 Throughout the home, the walls are adorned with sculptural surfaces for statement. 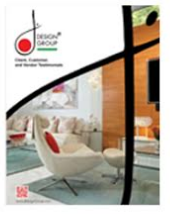 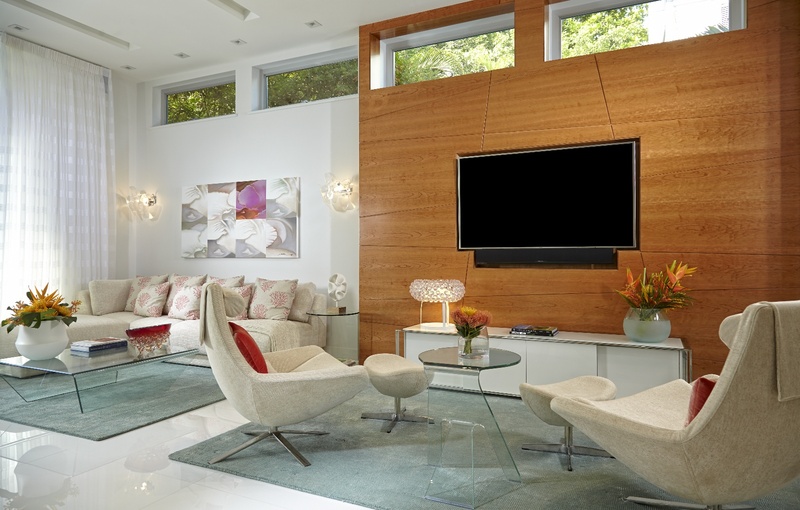 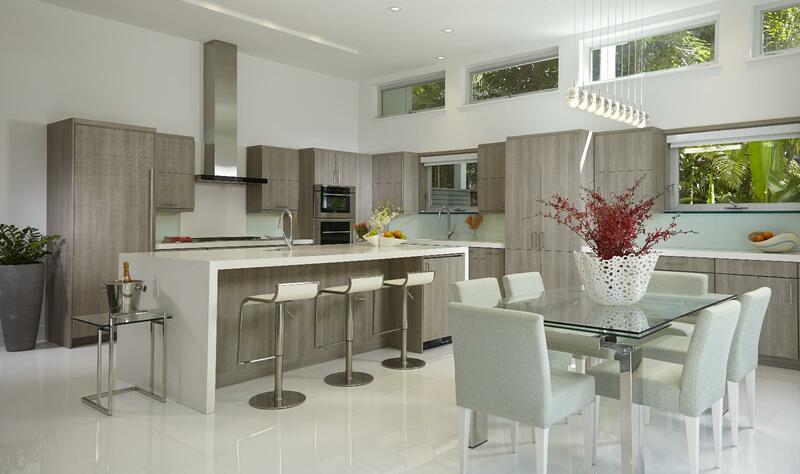 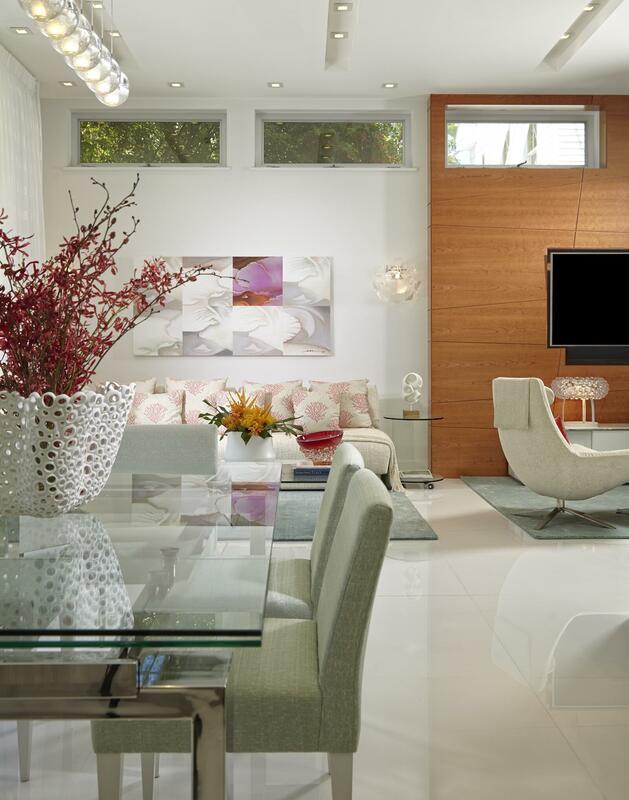 Our use of exotic cherry doors and wall unit was customized by a high-end millwork company in Miami, Fl. 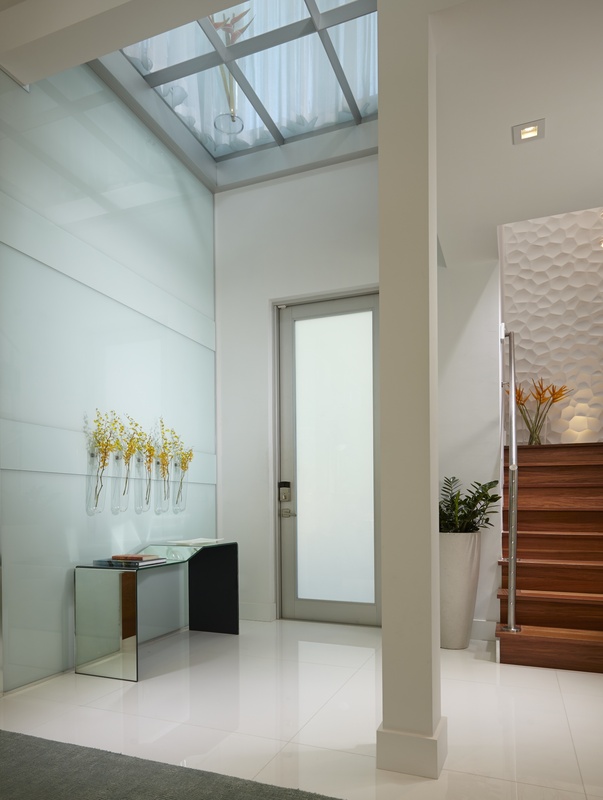 The inspiration was to design a modern, cool vibe for this gem of a space, which can be seen in the beautiful wall feature in the foyer, along with the customized glass inserts for the doors, and the kitchen backsplash. 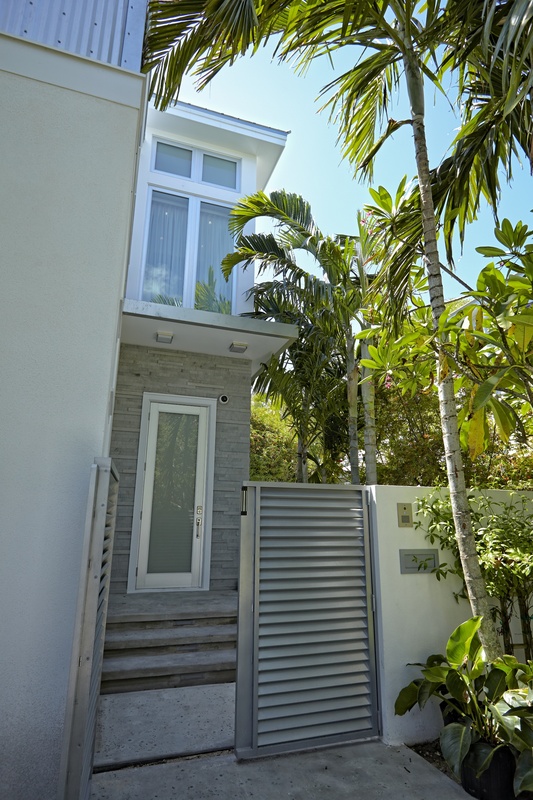 Three-dimensional wall tiles were introduced as added texture for the front façade of the house, as well as the pool area. 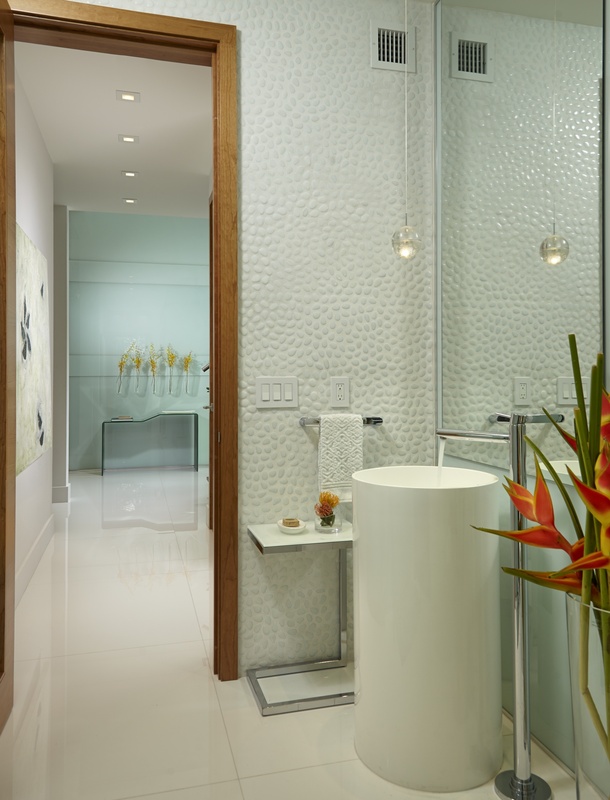 Lighting was also an important factor and can be seen via the well lights, strategically placed to enhance the various sculptural wall features. 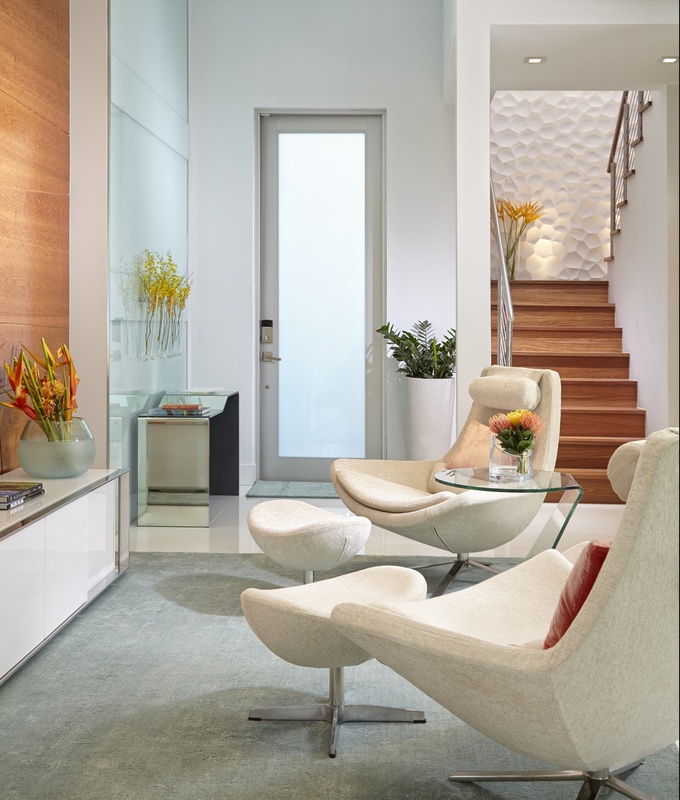 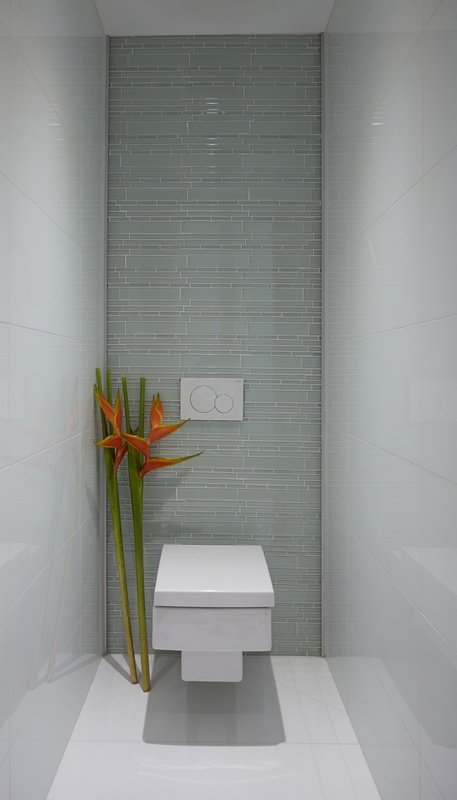 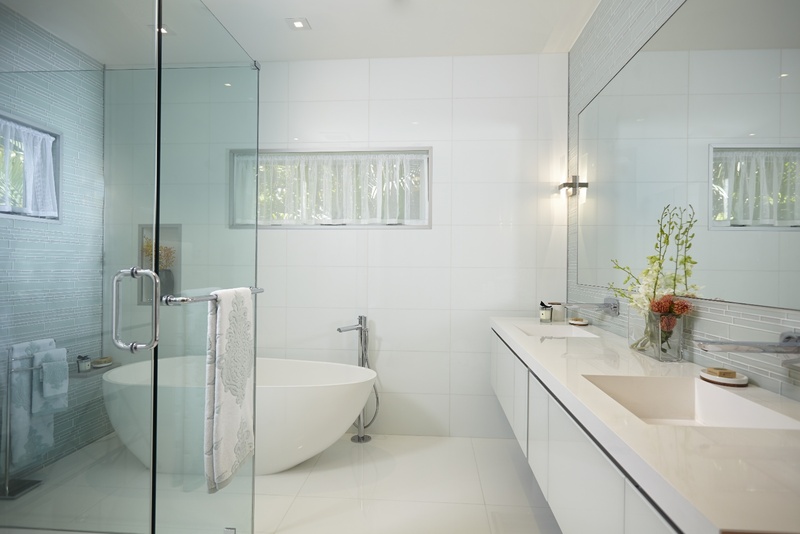 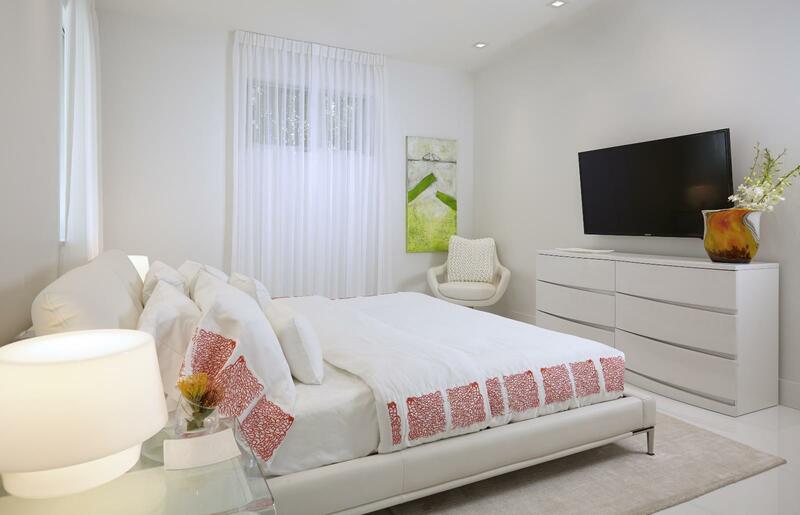 The client wanted to have a modern approach to the design, including architectural elements to the space.